Since the inception of GeoForm International Inc. over two decades ago, the core of our business has been the design and manufacture of highly durable pumps that allow our dredging platforms like the Dino 6 and Dino 8 dredges to reliably remove sediment and other unwanted materials from ponds, lakes and reservoirs. In that time, we’ve learned a great deal about the versatility our customers want in their pumps. 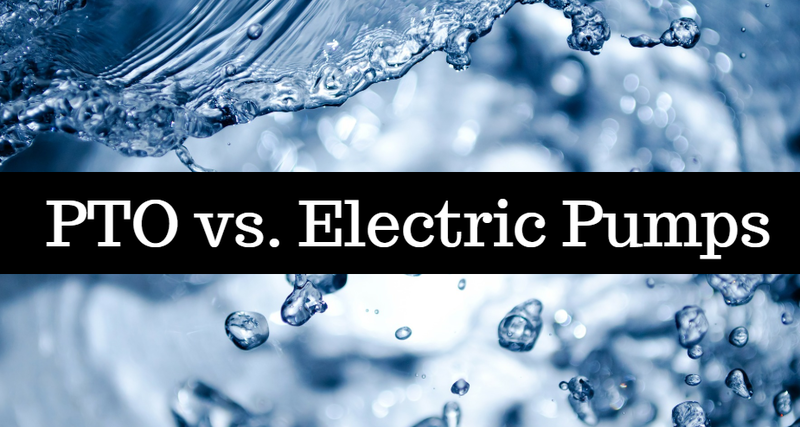 That’s why, to provide you with the information you need to make a sound decision regarding which type of pump to purchase, we’ve put together this article on whether an electric motor or PTO water pump is the best fit for your needs. As its name implies, an electric submersible pump requires an electric motor — running straight from an electrical source — to power the pump. This also means that when you choose an electric motor, you must make sure it can handle the horsepower required to run the pump. The quick math on this is that you’ll need approximately double the amount of horsepower inrush current per motor rating to properly turn the pump over. For example, if your pump needs 65 horsepower to run at optimal efficiency, you’ll need a power source that’s twice the size of its normal running capacity in order to handle all inrush and startup demands. It’s important to keep in mind that most electric motors cannot be run underwater. For this reason, they’re most often limited to powering wheel pumps or sewer bypass pumps, where the motor never needs to be submerged. There are specially designed submersible electric motors that run larger motorized submersible pumps, but they’re extremely expensive. PTO — or power take-off — pumps work through the highly efficient transfer of mechanical power from remote engines, like those found in tractors or trucks. In other words, once a PTO hookup is established with a commercial vehicle’s engine — or by making use of the hydraulic systems found on mechanical loaders or any equipment with hydraulic taps — a PTO pump is ready to go. In addition, unlike the math involved in calculating sufficient power for electric pumps, if your PTO pump needs 65 horsepower to run efficiently, then you only need a 65-horsepower motor to run it. PTO pumps are much easier to match up. Moreover, you don’t have to worry about whether the pump’s motor is submerged. If you choose an electric-powered pump, you’ll obviously need access to electricity wherever you’re pumping. This means you’ll either need an outlet or a generator to supply the necessary electricity. Naturally, you can choose to run long electrical cable, but energy expenses can quickly add up. Depending on the size of the pumping job you have ahead of you, this option may not be cheap. The dual benefits of a PTO pump are that it can move with you around a jobsite and will continuously and cost-effectively run off the power supplied by whichever engine you hook it up to. When choosing between an electric motor and PTO pump, it’s advisable to calculate and compare the cost ratio to run them. It’s worthwhile to figure out a cost analysis that looks at kilowatts per hour and matches that against the diesel used to run a PTO pump. For more information on our pumps or for answers to any questions, contact us today.